Nilla by Badgley Mischka. Nilla is a glamorous satin pump perfectly poised to add an elegant accent to your ensemble. 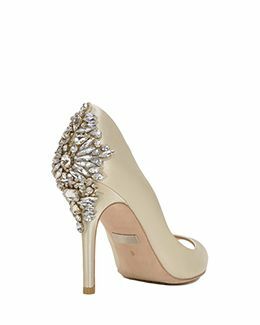 This beautiful bridal shoe features an embellished heel and peep toe. Last pairs size 8 and 8.5, wont be restocked.